I just asked a couple Atlus USA folks and they haven’t heard anything about this. FWIW. Seems pretty unlikely to me – they’re not a big company and they just announced like 4 new Persona games. 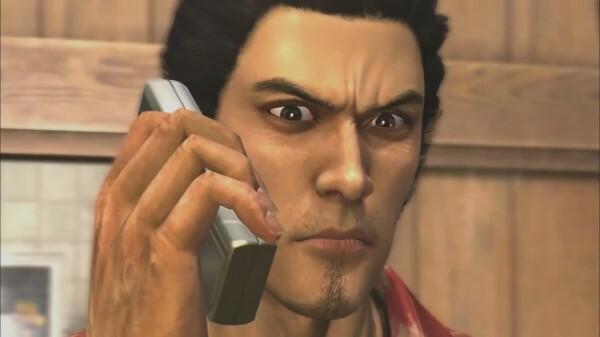 Original story: According to the latest issue of Electronic Gaming Monthly, Q-Mann (that’s their rumor guy) states that Atlus may be currently working on localizing Yakuza 5 to the West. With news of Sega giving Atlus some free reign when it comes to their IP’s and Atlus having a great localization team, this doesn’t seem so far fetched. Am I hyped? Check above the comments section and see. Don’t let me down Sega. Atlus EGM Yakuza 5 YES! YES! YES! It could never be branded as an Atlus game, it would have their logo share, to indicate they had a hand in it’s production, but at the end of the day, it is still a Sega IP through and through, inside and out. It’ll always be a Sega brand as long as Sega don”t get stupid enough to squander it off to another company. Don’t be playing with my emotions, Q-Mann! So does this mean I’ll have to import every future Yakuza game regardless now? Haha. If true, hopefully Atlus plays ball differently than in the past, I guess. The last localization that Atlus made since SEGA courted them was for Conception II (one hell of a longshot, the preceding title wasn’t even localized) but that eventually got a digital-only –Europe– announcement. I can’t imagine what downloading yakuza 5 will be like though. i know please be true man!We need Yakuza 5! Q-mann (formerly Quartermann, back when people used these things called coins to get games to start) has been pretty reliable over the years. He first reported on the earliest incarnations of the Sony “Play Station” being developed in 1989, believe it or not! Needless to say, I really hope this is true. Atlus, I have a list I’d like you to take a look at…. Hope it’s true and RETAIL of course. Yeah, so apparently EGM isn’t the most reliable in leading teases. There are a couple of instances of debunked EGM rumors I’ve found, so =\. Hold on, if this is true, why didn’t Sega just release it on their own? What do they need their Atlus division to do it specifically, when they as a whole are part of the Sega family. I know Atlus is known for bringing some decent eastern titles west, but if Sega can’t even localise or advertise their products properly, what does Atlus do that Sega don’t? Atlus is a small company compared to Sega yet Atlus still manages to thrive and survive where Sega fails a lot? Can’t just be Atlus IP that keeps them going in the West surely. first of all who is this neogaf member? Do you really expect Atlus to confirm their plans without an official announcement? The NeoGAF member is a writer for Kotaku. Oh man, so what you’re telling me is that somehow Kotaku has become a more credible source of information than EGM? Someone shoot me in the brains right now. The source you’re thinking of isn’t all that great. Well, I have a couple of thoughts about that. The first is that, from my impressions, Q-Mann has been overall pretty reliable for over 20 years. And secondly, Q-Mann isn’t actually an individual, but an ‘compilation’ of all the rumors and tidbits of info that all EGM writers and editors glean from all their sources from month to month, so personally I give more weight to that than to one blogger on Kotaku. What verifiable rumors has Q-Mann been the first to break that have later panned out? I can think of a decent list that they announced first that didn’t work: Virtua Cop for the Wii, FF7 remake for PS3, Microsoft buying Capcom, Metal Gear Solid 4 for 360, Soul Calibur 3 on 360, Star Wars Ep. 1 RPG made by Square, new Space Channel 5, DOA title after DOA4 PS3 exclusive. Also, remake of the first Mega Man game for PS3…after Capcom just made MMPU for PSP. Also, you’ll have to do better than “one blogger from Kotaku.” Maybe your perception of Kotaku, the site itself, is impacting how your perceiving this. Jason is well-connected in the industry and a self-professed JRPG fan – he’s prone to keeping tabs on this sort of news. he’s trumpeted Bravely Default’s localization prior to its announcement, and was forward enough to talk about his being unmoved at the titles initially announced for the PS4. I think he’s made his devotion and interest known. I really don’t think Q-Mann is worth it. It doesn’t surprise me in the least that a Kotaku blogger would speak badly of the PS4 launch line-up, or anything else. Their editorial policy is the gaming equivalent of “negging,” because their writers are contractors who are paid based on clicks and comments. The more negative and insulting their articles, the more response they tend to get. They have no credibility in my eyes. Well, the PS4 launch lineup wasn’t really all that good, so I’m not sure that Kotaku speaking negatively about it says anything bad about them. There was, at best, one truly standout title, and it was a downloadable shooter game. Personally I didn’t really care for Resogun, but critics seem to love it. I stopped playing my PS4 more then a month ago because of this. lol, they say EGM isn’t reliable while they believe to the first thing a kotaku writer (jumped from nowhere) said. Atlus PR verifying that he/she was contacted by Jason and gave him information that led him to make his statement that Atlus has “no plans” to localize Yakuza 5.
same poster apparently further verifying the sentiment, earlier on.